It’s Super Bowl Sunday, so that has me thinking ahead to baseball season (and I’m not the only one). After this game is when I really start to look ahead to Spring Training, counting the days, beginning fantasy baseball preparation, thinking about pulling a few more jerseys out of the closet. Today’s game has a few other connections. There are the two No. 9s above. Drew Brees, who wore No. 15 at Purdue, wears 9 because of Ted Williams (last item on the page). Michael Lewis, who wrote Moneyball, also penned a long-form feature on Eli Manning for The New York Times Magazine and played for the same baseball coach in New Orleans as the Manning boys later did. 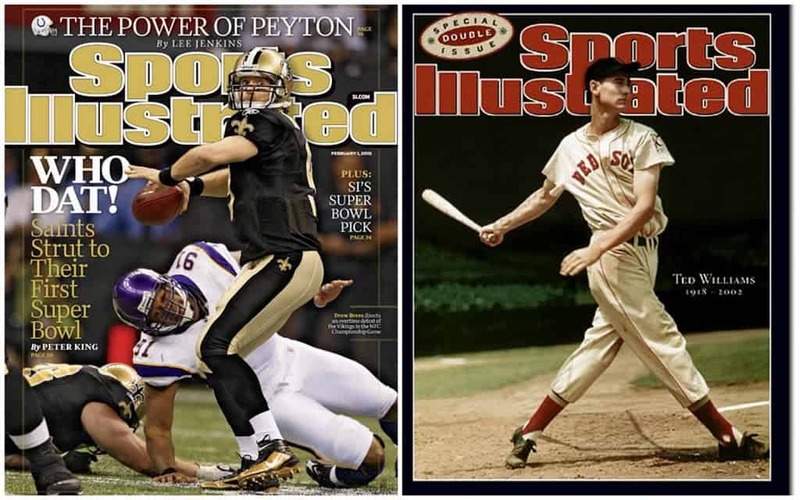 And Wezen-Ball did a great breakdown of the baseball histories in Indianapolis and New Orleans. If the Colts win, they will share a birthplace with the World Series champion Yankees — both franchises originated in Baltimore. 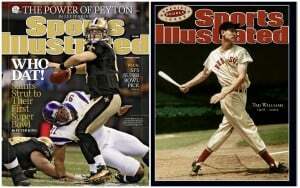 If the Saints win, um, well, their coach, Sean Payton, will have won the first Super Bowl in which he appeared as a head coach, just as Joe Girardi won the first World Series in which he appeared as a manager. Happy viewing, all. Go, Your Team! Two weeks until pitchers and catchers.